In the present article, we fabricated an artificial sorbents of D-mandelic acid (D-MA) on vinyl functionalized multiwalled carbon nanotube (MWCNT) by molecular imprinting technology. Here molecular imprinted polymers (MIPs) were tailored by D-MA as a template molecule on the surface of the vinyl functionalized MWCNT with 4-vinyl pyridine (4-VP) as the functional monomer, ethylene glycol dimethacrylate (EGDMA) as the crosslinking agent and 2,2′-azo-bis-isobutyronitrile (AIBN) as the initiatorvia a thermal polymerization technique. 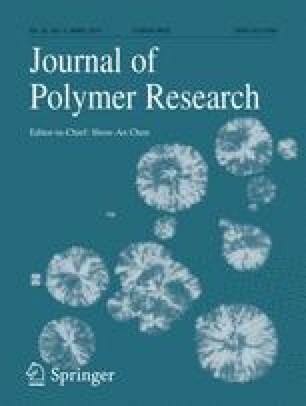 For better evaluation, blank polymer (MWCNT-NIP) was prepared by the same procedure, only without using the template molecule in the polymerization process. To get a better knowledge of the role of MWCNT on chiral recognition, D-MA imprinted and non-imprinted polymers without MWCNT were also prepared and analysed. Fourier transform infrared spectra (FT-IR), X-ray diffraction technique (XRD), Thermogravimetric analysis (TGA), Scanning electron microscopy (SEM) and Transmission electron microscopy (TEM) were used to characterize the composite structure, morphology and determine the grafted MIP quantities in the composite. Selective adsorption and specific chiral recognition of synthesised polymers were examined using the theory of kinetics and thermodynamics. The resulting MWCNT-MIP demonstrated favorable selectivity, good stability and a higher adsorption capacity for the template particle compared to products created by bulk polymerization. The thermodynamic studies revealed that the adsorption was controlled by enthalpy and that MWCNT-MIPs had higher enthalpy and entropy than conventional polymers which contributed to the specific recognition of MWCNT-MIPs. D-MA adsorption on MWCNT-MIP is in good agreement with Langmuir adsorption isotherm and kinetics obey second order rate expression with rate constant k2 = 0.1482 mol−1 min −1. Kinetic correlation indicated that there was fast and selective adsorption equilibrium for D-MA molecules in MWCNT-MIPs happen because of the homogenous binding sites of template molecules on the surface of nanotubes.